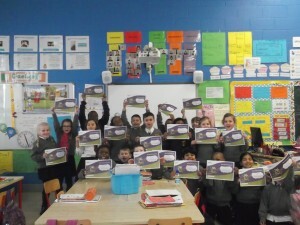 On the 3rd and 4th of February the 1st and 2nd classes had visitors from the Sustainable Energy Authority of Ireland who taught us all about energy efficiency and environmental awareness. 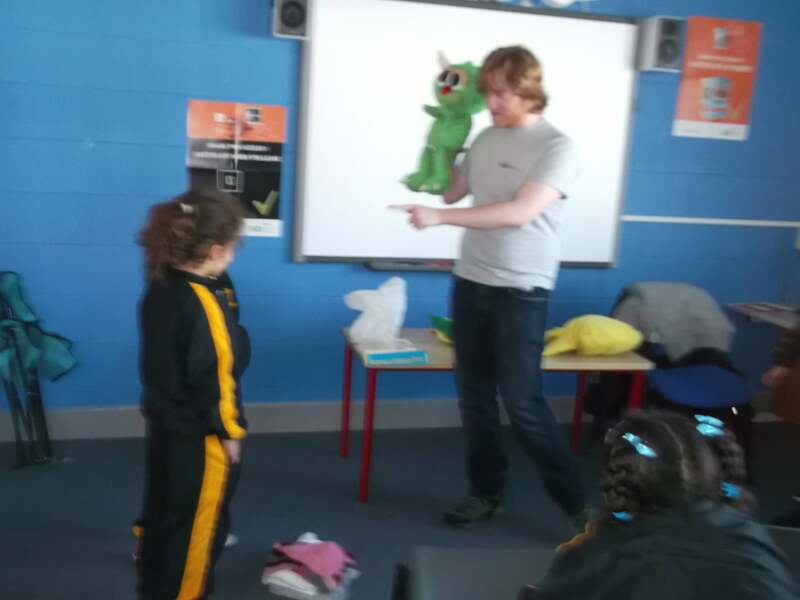 On the 3rd of February we had a visitor from SEAI. We learned all about energy, electricity, and how to save energy and electricity. 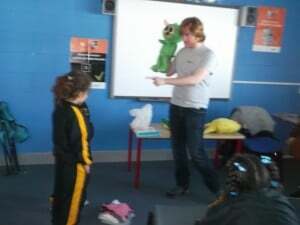 We also learned about Guzzler and what he does. 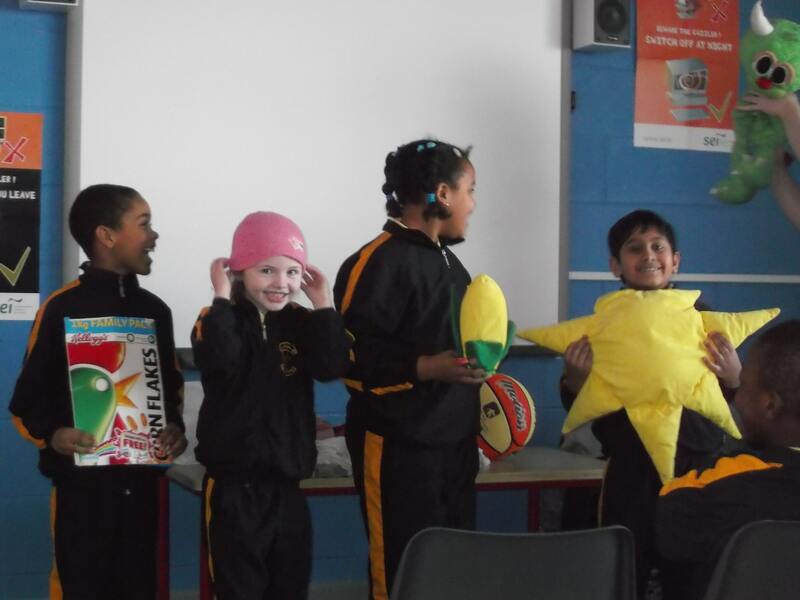 We learned that planet earth gets its energy from the sun. We did miming and it was using our own energy. We know all about energy now. We were learning about energy. We can save energy by turning off the light every time we are not using it. Guzzler said we ate sunshine but we didn’t believe him. So Jason was the sun, Albert was the corn and Ephraim was the cornflakes. First we had to put the sun up. Then the corn was growing. After that we were making them in the factory. Then they became cornflakes. Then we got three potatoes, lots of wires and a piece of blue metal. 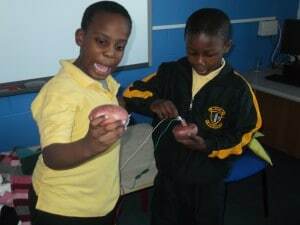 Then we connected the wires and the metal and the potato and it made the bulb light up. Then we said goodbye to the man and Guzzler. Humans get their energy from food. 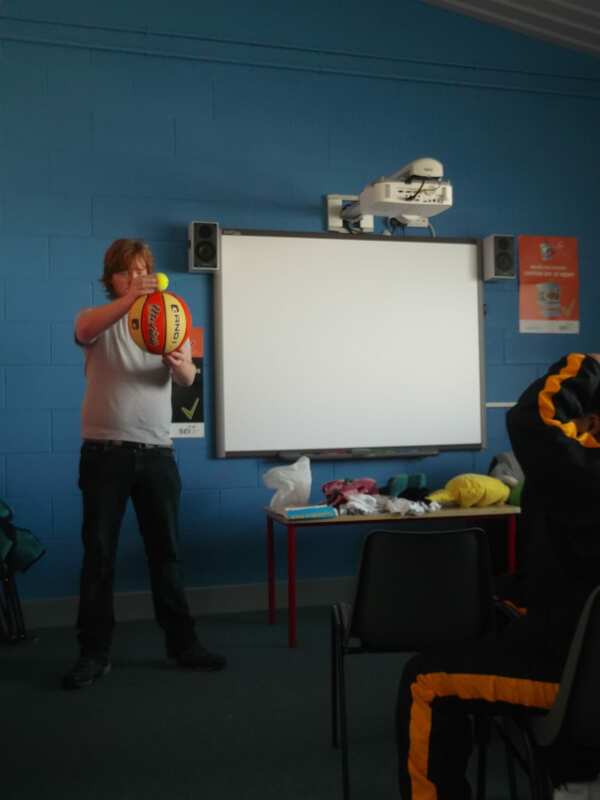 If a small ball is on a big ball and if you drop them together the energy in the big ball goes into the small ball and the small ball will bounce very high. I learned that if you put a small ball on top of a big ball and bounce them the energy from the big ball will go into the small ball. 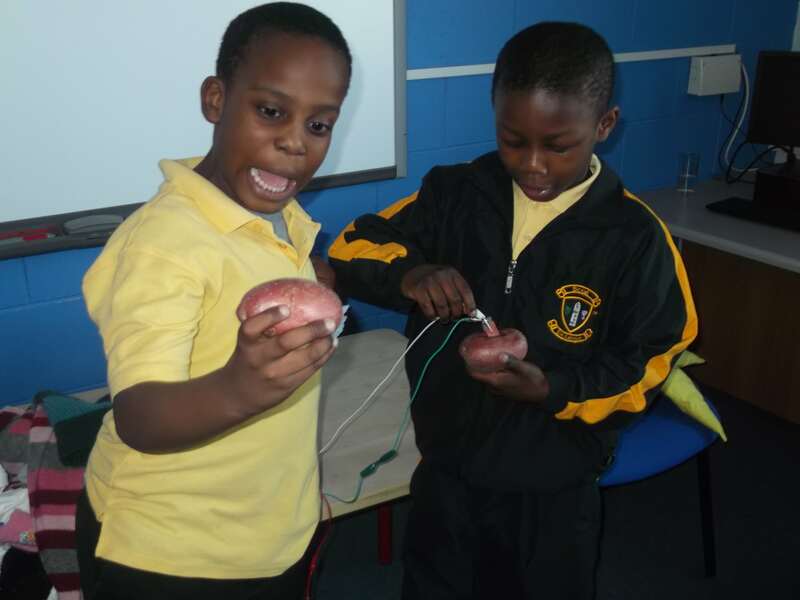 Seomra Setanta and the other two second classes learned about electricity from Guzzler. Guzzler does not save electricity. We learned about different types of energy and how to save electricity. We did mimes with Guzzler and we had great fun.